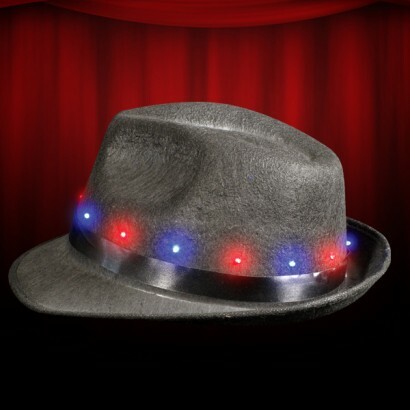 Make a style statement in this super funky looking Light Up Fedora Hat! 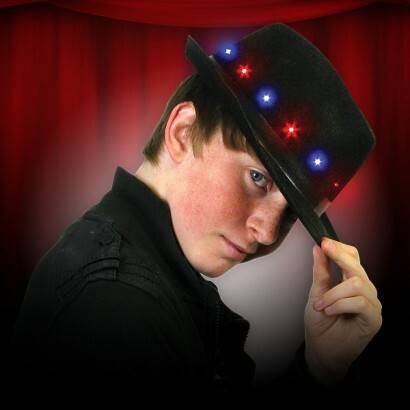 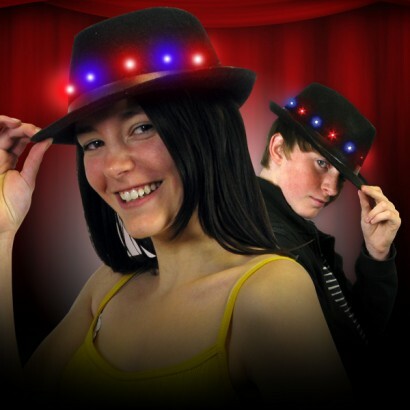 Lit by blue and red LED's for the ultimate party look, this stylish looking hat is bound to turn heads! 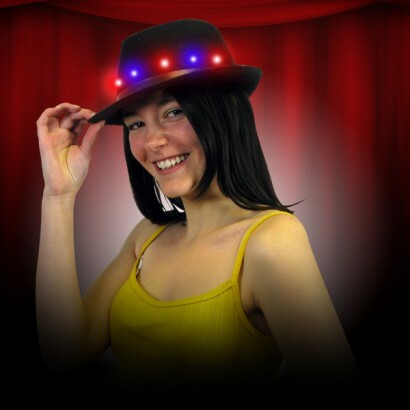 Perfect for fancy dress, themed events, costumes and parties, this sleek hat lights up and flashes around the head band for groovy party effects!